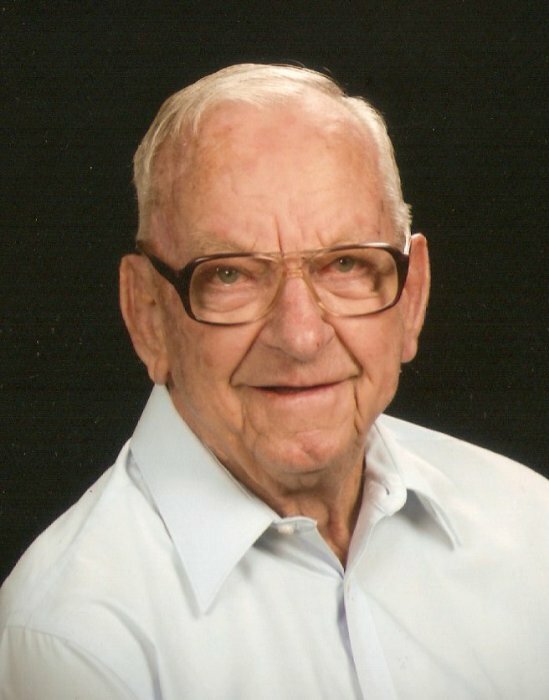 Obituary for Edward H. "Ebs" Richter | McCombs Funeral Home Inc.
Edward H. “Ebs” Richter, age 87, of New Wells, passed away Friday, September 07, 2018 at the Missouri Veterans Home in Cape Girardeau where he had been a resident since January of 2017. He was born February 8, 1931, in Altenburg, Missouri, son of Hugo E. and Bertha Weber Richter. He and Pauline A. Meyr were married June 6, 1959 at Immanuel Lutheran Church in New Wells. She passed away March 17, 2014. Ebs attended school in Altenburg and New Wells. He was baptized and confirmed in the Lutheran faith. He was a member of Immanuel Lutheran Church in New Wells where he had served as secretary and treasurer of the Voter’s Assembly and was a member the Immanuel Fellowship Club. He was also a member of the Perryville American Legion Post 133 and Teamsters Union 574 (now 600.) He served in the United States Marine Corp during the Korean War from December 21, 1951 until his honorable discharge as Corporal on December 1, 1953. While Ebs was a farmer all of his life, he also worked for Kasten Brick Company in Jackson, he and Elton Dost were co-owners of D & R Trucking from 1958-1965 and he worked for Elfrink Truck Lines in Cape Girardeau from 1965-1993. His hobbies included farming, fishing and playing cards, especially, Pitch. The highlight of his life was spending time with his grandchildren. Loving survivors include a daughter, Carol (Paul) Engelhart of Jackson; three grandchildren, Tyler, Katelyn and Alexis Engelhart all of Jackson and a brother, Raymond Richter of Cape Girardeau. In addition to his wife, he was preceded in death by five siblings, Marvin Richter, Lorene Stueve, Nelda Mirly, Viola Boehme and Norma Haertling. Visitation will be from 3-7 p.m. Sunday, September 9, 2018 at the chapel "A" of McCombs Funeral Home and Cremation Center in Jackson, and from 9 a.m. Monday, September 10, 2018 until service time at Immanuel Lutheran Church in New Wells. The funeral service will be held at 10 a.m. Monday at the church with the Rev. Lawrence N. Bradt officiating. 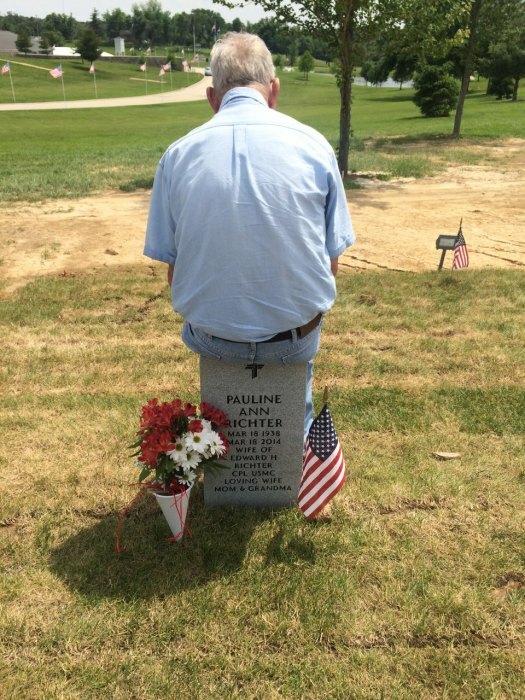 Interment will be at 2 p.m. at Missouri State Veterans Cemetery in Bloomfield, Missouri, with full military honors. 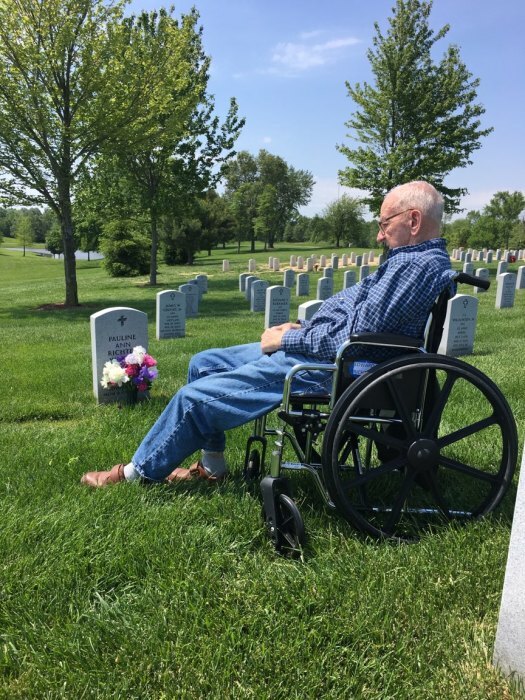 The family suggests that contributions be made to Immanuel Lutheran Church in New Wells or the Missouri Veterans Home in Cape Girardeau.